Ntel is a telecommunications company in Nigeria that provides Unlimited and fast 4G LTE data plans, crystal clear voice calls with a speed up to 230Mbps. Ntel came to existence on the 8th of April 2016 after buying NITEL and MTel, to become Nigeria’s fifth GSM mobile network operator. Ntel also promised its first 100,000 to redeem and activate their ntel SIMs free on-net calls for life, while data subscribers will get 3-months unlimited data usage, quite interesting. The reasons why most people don't have Ntel SIM is because they only work on 4G devices and they are only available in Lagos, Abuja and other states are yet to get the service in their area. You will get free 3months of Unlimited browsing if your plan remains active. You may be wondering why there is no subscription code in the list, it's because Ntel doesn't currently have any ussd code so if you want to subscribe you either visit Ntel store or subscribe from their app called myntel which is available on Google PlayStore. Note that the plans are Unlimited and goes at the speed of up to 230Mbps but when you have used up to 3Gb in a day your speed will be throttled to 512bps until the next day before your speed comes back to its normal speed. You can reserve a number at Ntel Reserve Number if you have a number that you would like to reserve. 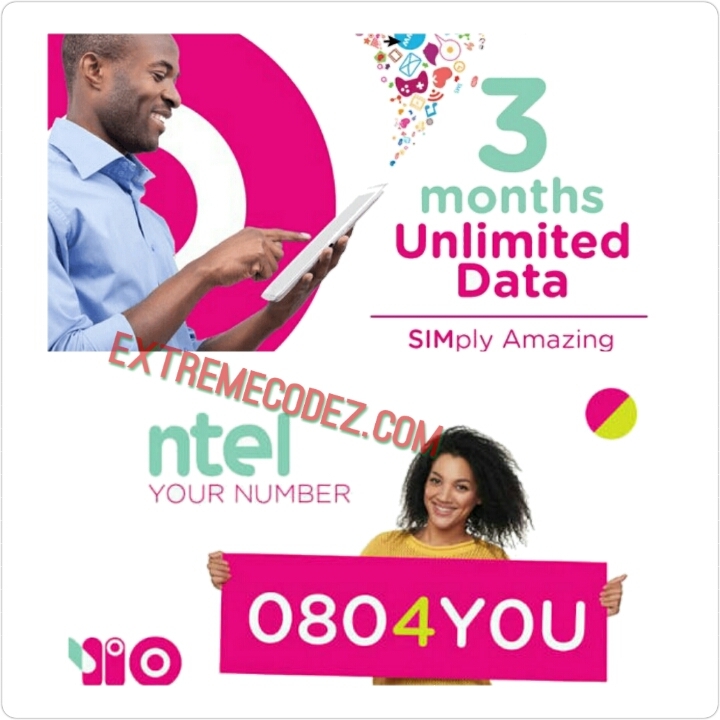 Ntel is a telecommunications company in Nigeria that provides Unlimited and fast 4G LTE data plans, crystal clear voice calls with a speed up to 230Mbps. Ntel came to existence on the 8th of April 2016 after buying NITEL and MTel, to become Nigeria’s fifth GSM mobile network operator.